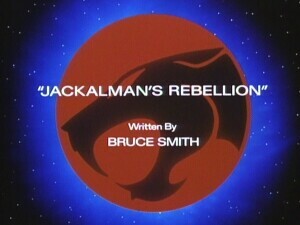 It is Jackalman’s turn to rebel against the other Mutants and seek to satisfy his quest for absolute power. In seeking to establish his reign of terror, he is out for his own gain and not that of all the Mutants. At various times, each of the Mutants has separated from the group and sought to benefit individually at the expense of the others. They show no willingness to conform to the social norms necessary for group cohesiveness. 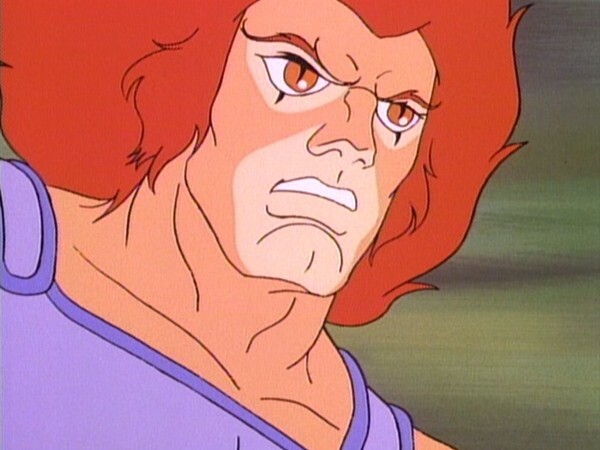 In contrast with the Mutants’ divisiveness is the allegiance and conformity of the ThunderCats to their moral code. We can learn from them the values of being a member of a social group. Groups achieve their goals and society itself is sustained by individual conformity to norms. By participating in-group activity, an individual gains many social rewards. He receives recognition, a shared pride in achievement, a sense of belonging and approval, and a way of perceiving the world (Hollander and Hunt, 1970, pp. 409-415). If we participate in a group and feel a part of it by sharing in its common purpose, we have much to gain. Separating ourselves and becoming a loner, or trying to achieve only our individual goals and neglecting common goals, can only lead to failure and alienation. Hollander, E.P. and Hunt, R.G. (Eds.). (1970). Current Perspectives in Social Psychology (2nd ed.). New York: Oxford University Press. The premise of “Jackalman’s Rebellion” is of a Mutant separating from his mates and going rogue, a concept similarly explored in “The Superpower Potion” (with Vultureman) and “Monkian’s Bargain” (with Monkian). In this episode, it is the cowardly Jackalman who goes solo to achieve his dastardly ambitions. 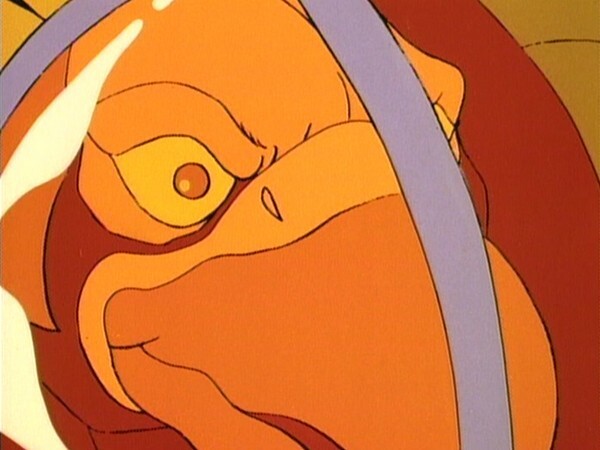 The episode launches immediately into the middle of an action sequence with Jackalman in the Flying Machine being chased by the other Mutants. It is common for the Mutants to squabble amongst themselves but to actually see them trying to shoot down one of their own is jarring, and the writer, Bruce Smith, immediately grabs the viewer’s attention with this scenario. Unfortunately, from this point onwards the episode relaxes its grip on the audience. 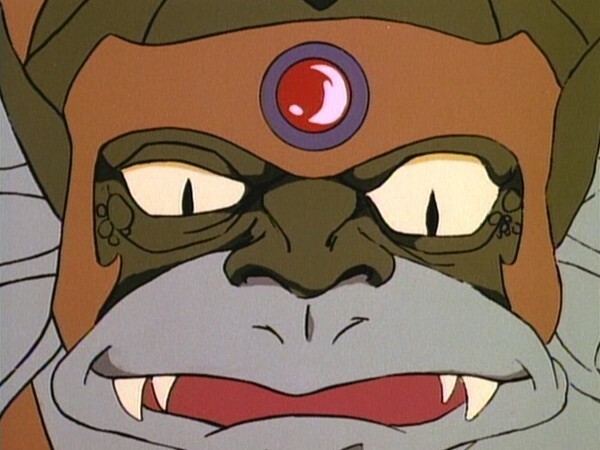 While both Monkian and Vultureman gain some sort of superpower in their respective solo episodes, Jackalman does not come into possession of any such phenomenon. Instead he enlists the Driller and the Molemaster in his “army” and plans on taking control of Third Earth. Now why these two would join hands with “General Jackalman” is a mystery in itself. The Driller is a mercenary in “Spitting Image” who works only for diamonds. The Molemaster is depicted in “The Time Capsule” as a tyrant who makes the Molemen dig for gold. 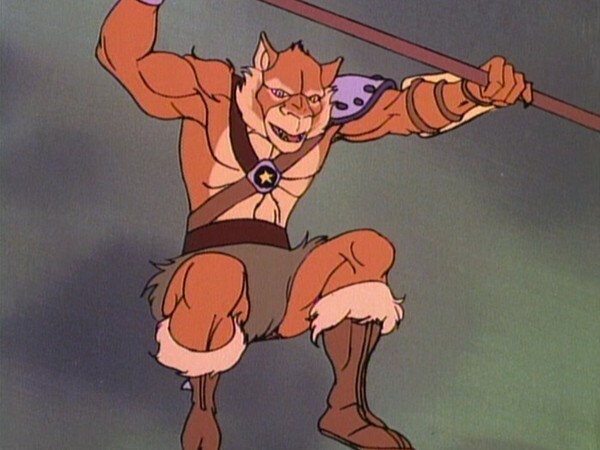 And since Jackalman apparently has neither diamonds nor gold, it is unclear as to why they would ally with the renegade canine. Also Jackalman doesn’t have any concrete plan. He and his two cronies jump from one objective to another. 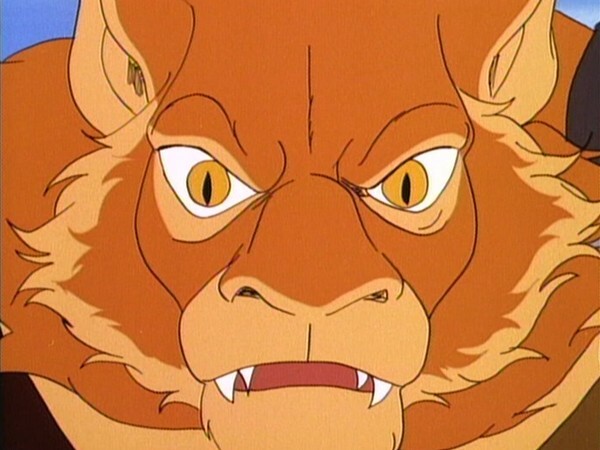 The trio starts off by attacking the Mutants, then they turn to tormenting the Bolkins and to stealing from the Wollos, before finally laying a trap for the ThunderCats. 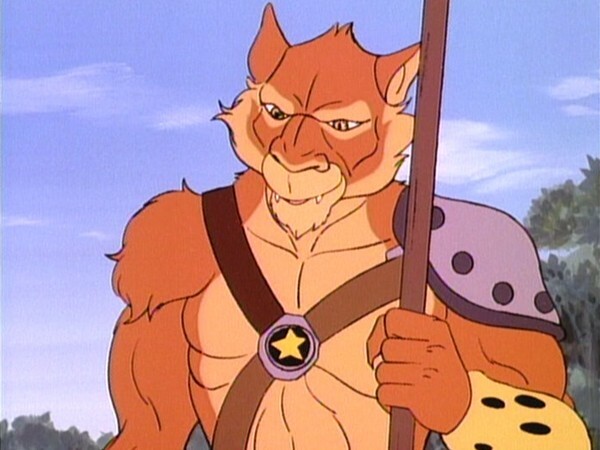 In fact the ThunderCats have more of a supporting role, being thrown into this episode mainly to fill in the gaps so that the episode could run for its standard 22 minute length. 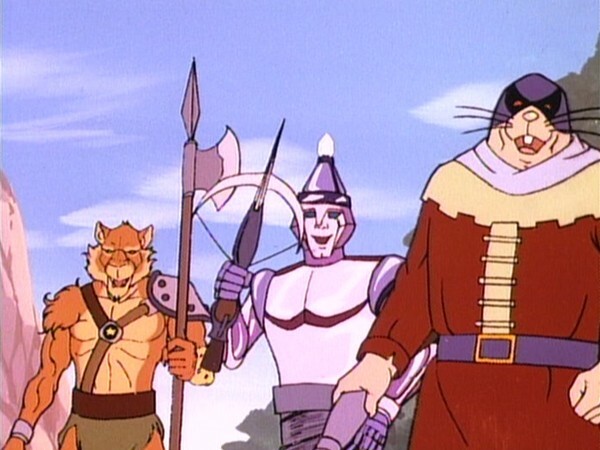 The entire middle act of “Jackalman’s Rebellion” is merely frequent and rather undramatic clashes between the feline heroes and Jackalman’s army. Even the impressive animation fails to elevate this episode to a more prominent status. 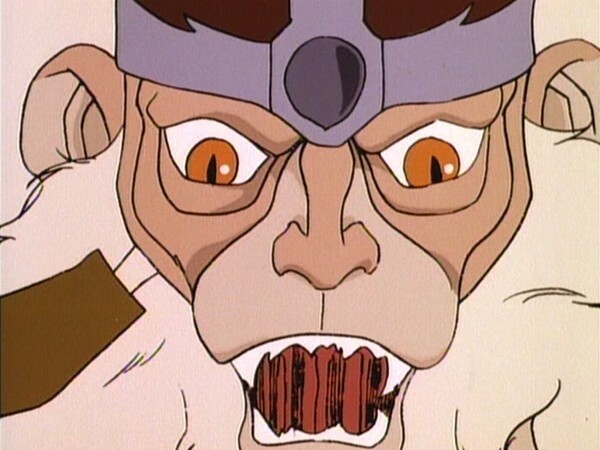 Perhaps one of the biggest flaws of “Jackalman’s Rebellion” is that while Vultureman and Monkian genuinely evoke fear in “The Superpower Potion” and “Monkian’s Bargain” respectively, Jackalman fails to do so and is nothing more than a nuisance in his eponymous episode. Jackalman’s outfit has undergone a slight modification for this particular episode only. He has a star on his chest strap buckle and wears boots instead of being bare-footed. 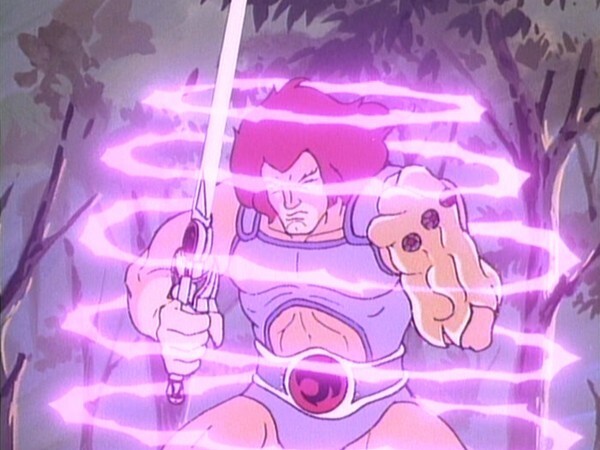 Interestingly, we see that the ThunderCats have a direct video feed from inside Castle Plun-Darr a la “Big Brother”. It is never explained how they managed to obtain these visuals and why wouldn’t they use the feed to discover the Mutants’ plans beforehand? 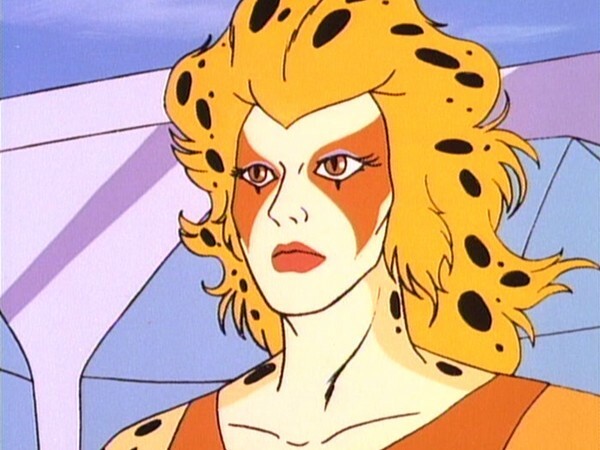 Towards the end, the ThunderKittens exclaim that they would never forgive any of the adult ThunderCats if one of them ever left the group. Ironically it is the ThunderKittens themselves who become the deserters in “Runaways”! 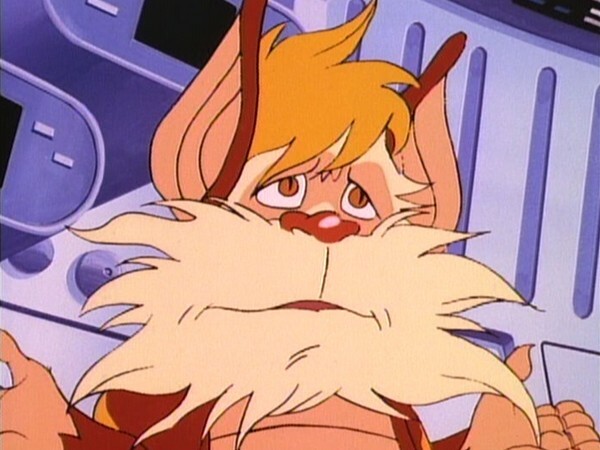 In the same scene, when WilyKit and WilyKat fail to mention Snarf’s name, the hairy nursemaid retorts by saying, “No mention of old Snarf, I notice”. 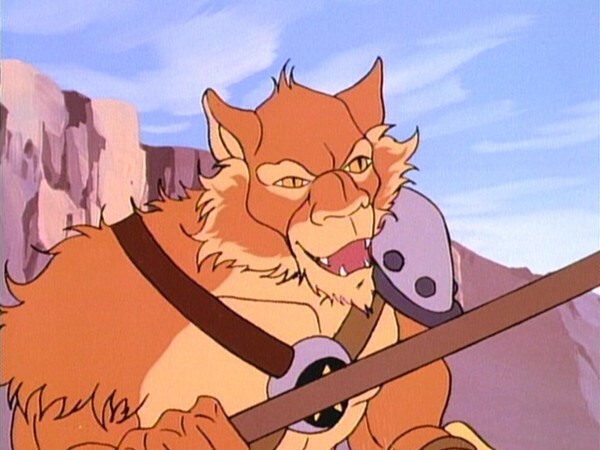 This same line was uttered by Snarf in the pilot episode “Exodus” as well. The voices of both the Driller and the Molemaster were performed by Bob McFadden who used an almost identical sound for both. The similarity is more easily noticeable here since this is the only episode in which both the characters appear together.